Venerable Emeritus Abbot Khensur Rinpoche Lobsang Jampa (known as Geshe Trinley Topgye) was born in 1937 in Nyaktren, a sector of Lhasa, the capital of Tibet. In 1947 at the age of 10, he gained admission to Sera Mey Monastery of the Sera Mahayana Monastic University near Lhasa – one of the three major seats of highest Buddhist studies. In 1952, he received his novice monk vows from the late Minyag Tondues Rinpoche, the 95th Throne Holder of Gelugpa Tradition in Tibetan Buddhism. In 1959, he received the complete Bhikshu vows – the highest level of ordination – from His Eminence, the late Yongzin Ling Rinpoche, the 97th Throne Holder of Gelugpa Tradition and also senior Tutor to His Holiness the 14th Dalai Lama. Khensur Rinpoche studied in Tibet until 1959 when he fled to India after China invaded and forcefully occupied Tibet. Rinpoche soon returned to his studies in the exiled Sera monastery, reconstructed under the guidance of His Holiness the Dalai Lama, the spiritual and political head of the Tibetan people. From 1959-70, he resided with more than 1500 monks from four Tibetan Buddhist sects at Buxar, an old British Army camp in West Bengal. 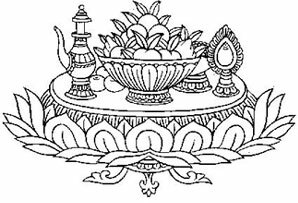 In 1970, the monks of Sera Mey relocated to Mysore district in Karnataka State in southern India. The monks reestablished Sera Mey Monastic University in Bylakuppe. 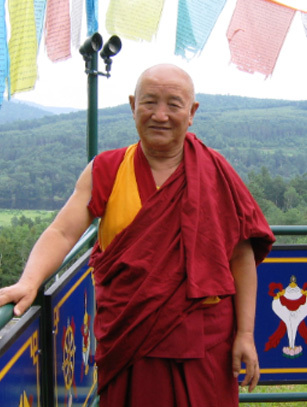 Khensur Rinpoche continued his spiritual training and studies there with his characteristic dedication and enthusiasm. In 1986, he completed the final Geshe exam and received the esteemed honor of Geshe Lharampa (equivalent to a PhD), the highest level awarded. In 1993, Khensur Rinpoche became Discipline Master of Gyumed. Monastic leaders soon after submitted his name and that of eight other prominent Geshes to the Dalai Lama as candidates for the post of Lama Umdze (Head Lama to lead all rituals) of the Tantric College. On January 7, 1994, the Dalai Lama selected Khensur Rinpoche to serve as the Lama Umdze (Vice Abbot), and on November 12, 1996, the Dalai Lama appointed him as the honorable Abbot of the Gyumed Tantric College. Khensur Rinpoche is both a scholar of great knowledge and understanding, and a holder of many traditional teaching lineages. His generous presence and contributions to the Sera Mey Monastic University have proven indispensable. A living example of Buddha's teachings, he divides his time between personal meditation and practices, and teaching a growing network of Western and Tibetan students. 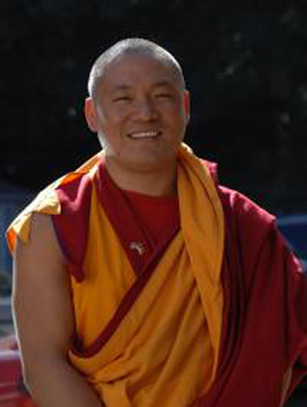 He is highly qualified to teach on all levels of Buddhist practice and to conduct all Buddhist rituals.He currently teaches at Guhyasamaja Center in Washington, D.C., and at his newly established center in Redding, Connecticut, Do Ngak Kunphen Ling.